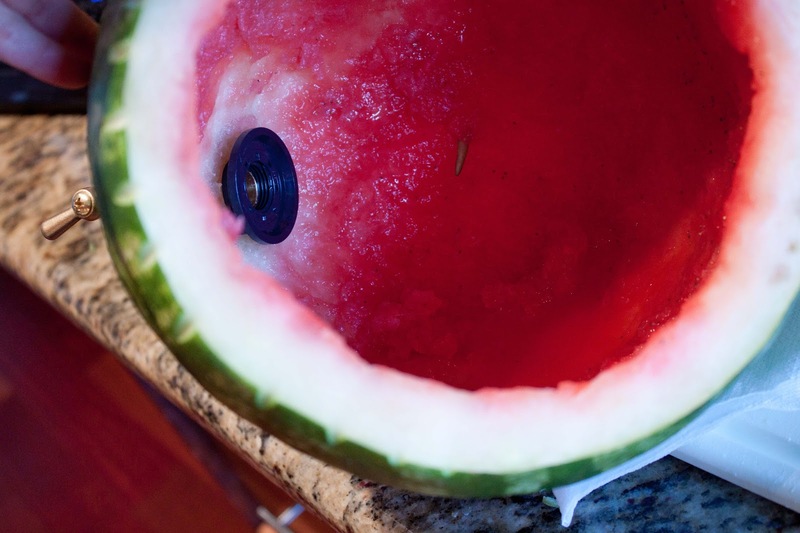 Fat and Happy Tips and Techniques: It's important to clean the inside of the watermelon well. 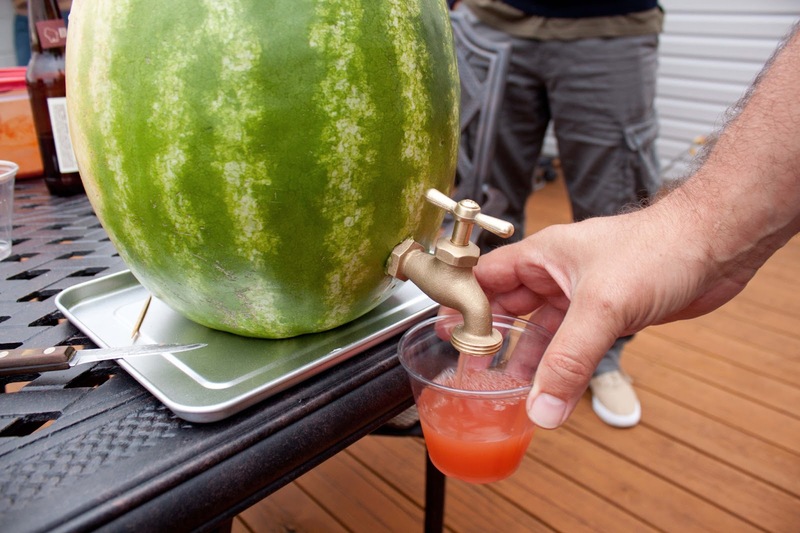 And it's important to strain the juice well too to avoid clogging the spout. 1. 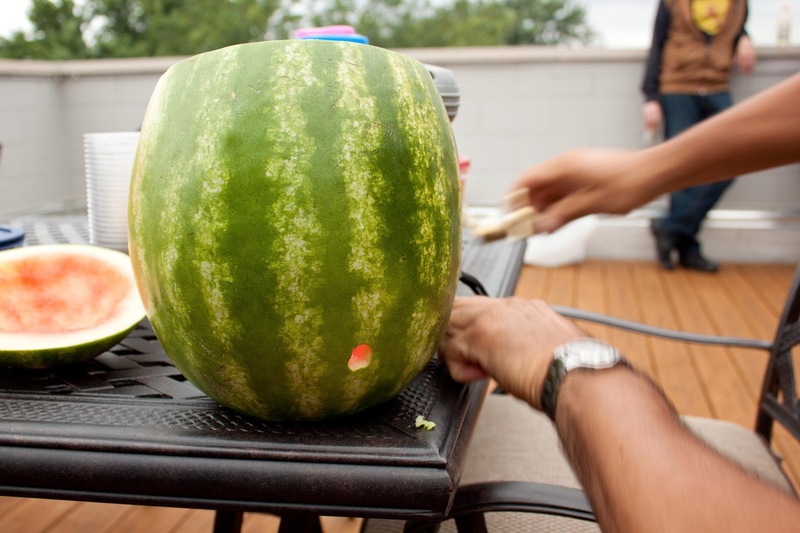 Prepare the Watermelon: cut a lid on the top of the watermelon and scoop out the insides, leaving a clean wall. 2. 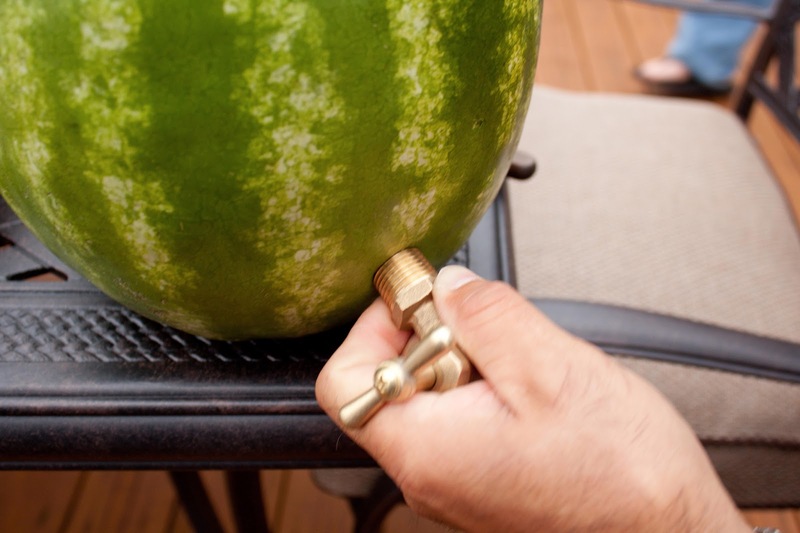 Drill a small hole near the bottom of the watermelon belly. Make the hole just smaller than faucet or shank dispenser. 3. Screw in the faucet. Carve a face if desired. 4. Pour in the juice and let the party start. These are all variations that I created with the juice from my watermelon. I didn't measure my ingredients, I just poured, tasted and adjusted. Use the below as your guide. This is a play on the classic pisco sour. Do let the jalapeno and mint steep; the longer this one sits, the better it is going to get. Mix 3 to 1 watermelon and lime juice. Add in the pisco. Steep the mint and jalapeno for at least one hour. Top with the club soda before serving. 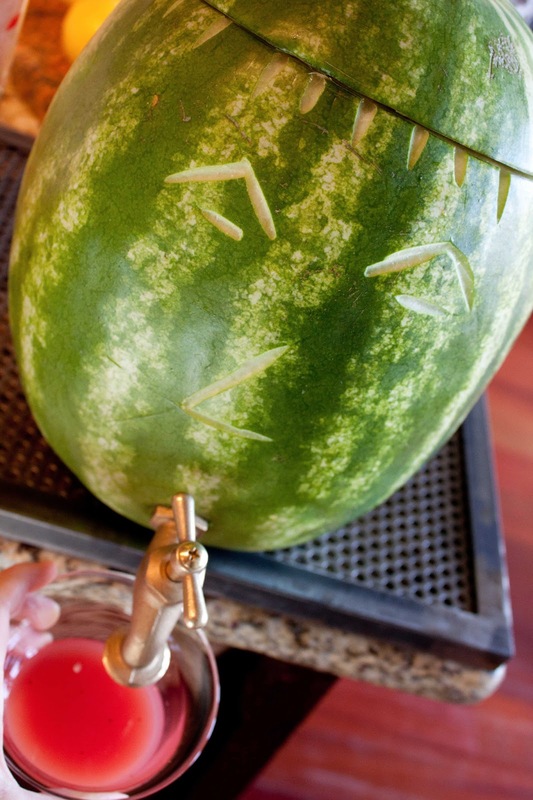 Strawberry Rhubarb meets watermelon; if you don't have rhubarb vodka, juice a handful of fresh rhubarb. 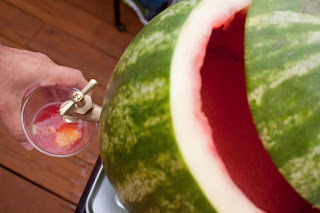 Mix 2-1 watermelon juice to strawberry juice, add in rhubarb vodka and a lemon to taste. Top with club soda just before serving. This is a lighter punch, perfect for the warm summer evenings. Mix equal amounts of watermelon, pineapple and wine. Top with the club soda just before serving.